Finally, a Trully Non-invasive method of testing your glucose levels in Type 2 diabetes and prediabetes. GlucoTrack® helps you monitor your glucose levels without finger-pricking providing an improved quality of life. 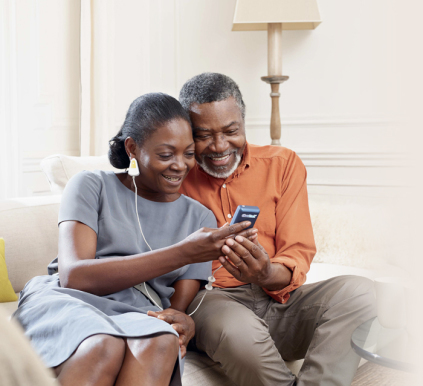 GlucoTrack® takes the pain out of glucose monitoring to help you manage your diabetes. 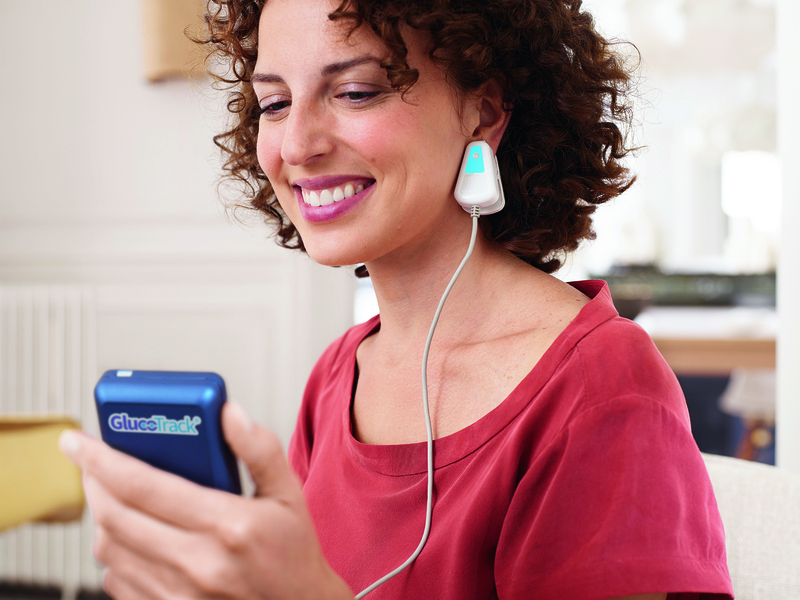 GlucoTrack® DF-F includes a Main Unit with a big color touch screen with large digits, audible results and a Personal Ear Clip, which is clippedto the earlobe and contains sensors to measure glucose levels in the tissue. The device is small, light, easy to use and handle. The Main Unit can be shared by up to three users. Each user requires his / her own individually personalized ear clip. The device enables off-line analysis and also includes a USB port for data downloading and battery charging. GlucoTrack® helps you understand how your food and lifestyle affect your glucose levels. Frequent testing with GlucoTrack® provides you with rich information on your glucose profile. People with diabetes may have to check their blood glucose levels five and more times a day. The prevalence of diabetes is on the rise. People who suffer from Type 1 and Type 2 diabetes can live fuller, longer, and healthier lives by carefully regulating their blood glucose levels. To do this effectively, blood glucose levels must be monitored on a regular basis, in some cases as often as four or five times a day and more. Yet, blood glucose level monitoring with invasive devices is both painful and expensive. The pain comes from a lancet pricking of the finger-tip to produce the required blood drop for testing. The expense comes from the consumable test strips being inserted into a reader, on which the blood drop is placed. Steady hands, and a considerable level of dexterity is required when testing oneself. As a result of the pain and expense, many diabetics do not monitor their blood glucose levels as often as they should. People with diabetes have longed for a glucose monitor that is non-invasive, non-intrusive, affordable, and allows testing without pain. 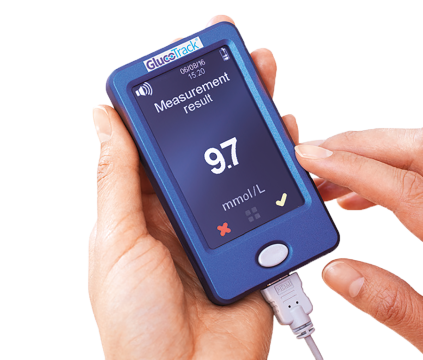 CuraTec Nordic is pleased to introduce GlucoTrack® model DF-F, which offers pain free monitoring of glucose levels. After short and simple calibration process, there are no test strips required, so there is no additional cost per measurement. CuraTec Nordic is focused on improving health, quality of life, and reducing risks of long-term diabetes-related health complications by minimizing glucose variability. A long-term view of your glucose trends will help you reach your objectives³. Frequent glucose monitoring may help you to be more confident and motivated to adopt a healthier lifestyle4. CuraTec Nordic markets and sells GlucoTrack® in the Nordic countries, Denmark, Sweden, Norway, Finland as well as Greenland and the Faroe Islands. Contact CuraTec Nordic today for more informations about GlucoTrack®. 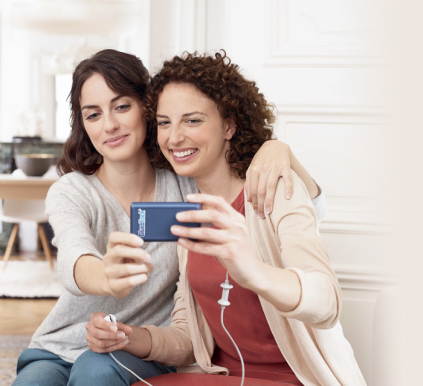 GlucoTrack® Intended use: GlucoTrack® DF-F is a non-invasive intermittent glucose monitoring device for home-use. GlucoTrack® DF-F is intended for adults 18 years and older with type 2 diabetes or pre-diabetes. Medication intake and/or treatment decisions should not be based solely on GlucoTrack ® DF-F measurements. GlucoTrack® DF-F is a glucose monitoring device and should not be used for diagnosis purposes. 1Ginsberg, H. Journal of Diabetes Science and Technology. 2009. © 2018 Integrity Applications. All Rights Reserved.